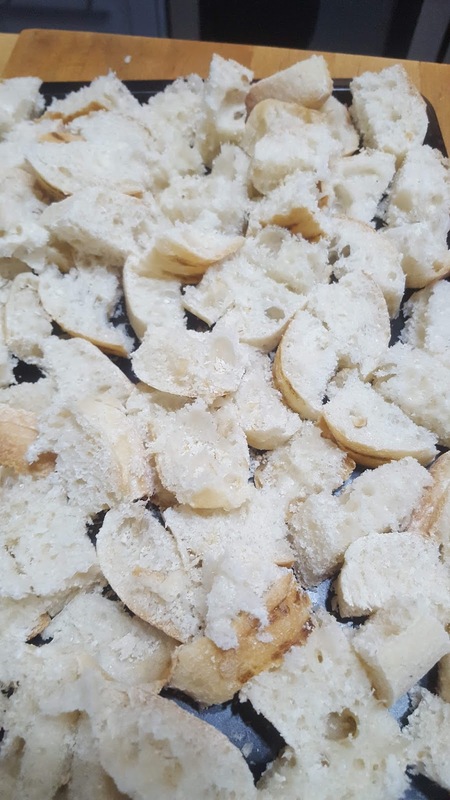 Well, I had some Ciabatta Rolls and decided to make the Croutons out of these, but any bread will do. 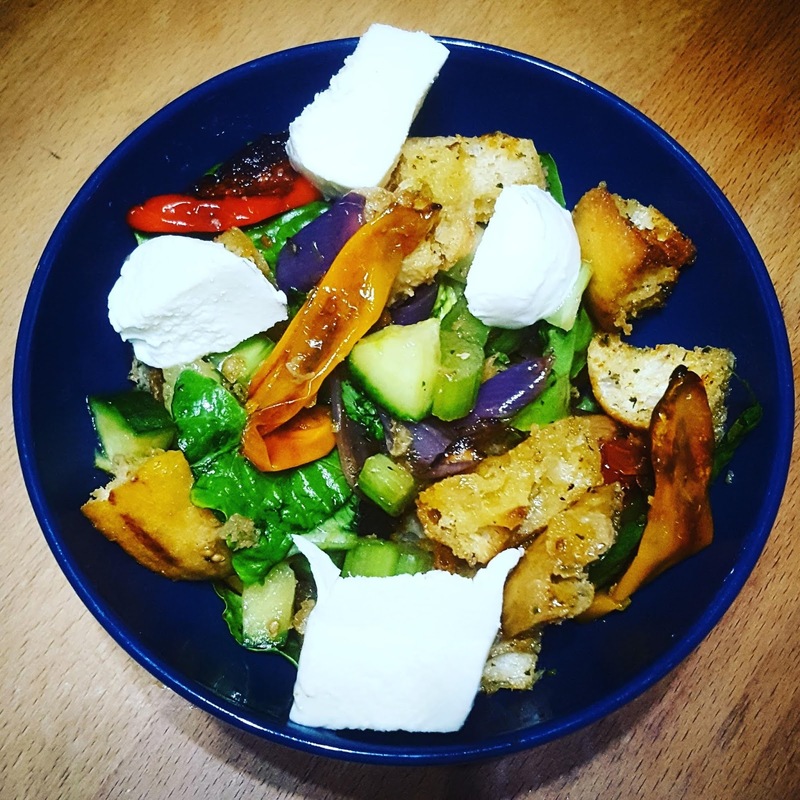 I have used slices of white Gluten Free bread, I have used slices of ordinary bread, my friends have told me you can use a burger bun, or french stick or anything as long as it is bread and you like it! Cut the rolls into cubes. 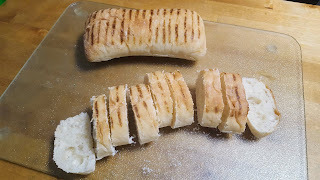 I cut them into about two-centimetre sections and then cut them in half and into half again. 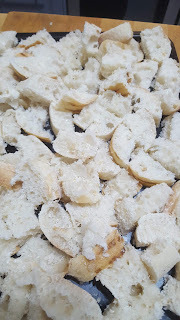 I melted some butter and mixed it with a splash of olive oil (I eyeballed it) before pouring it over the croutons on a baking tray and giving it a good old mix, yes using my fingers because fingers rule! I then sprinkled some herbs (I used Parsely the first time, Italian Herbs the second time and garlic and parsley the third time) over the croutons before putting the tray in the oven for just ten minutes at 180/350/Gas mark 5. At this point, they were crispy, golden and looked really tasty. I mean, you've seen the picture at the start of this blog post haven't you? Well, I had to try one. Okay, two. Okay, a handful but trust me they were lush and it couldn't be helped. Plus I was checking that the children weren't going to be poisoned! That's important, right? Making sure you don't posion your children? The children tried one each. Okay, two. Okay, a handful! 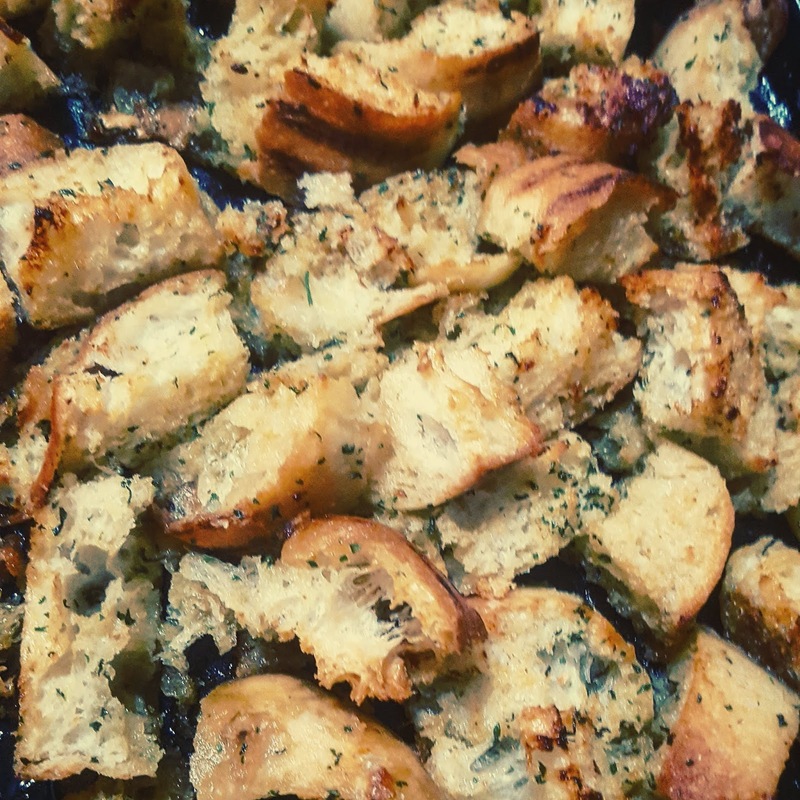 Turns out that they too were in love with the croutons and have asked that we have them every single day as part of every meal and as a snack if the day ends with a Y. Seeing as the Panzanella was so amazing, I'm sure that I won't mind!